In December 2014 the participants in the latest Great Recovery Design Residency, commissioned by SITA, hauled a sofa from a skip at the SITA Community Recycling Centre in Leatherhead. It was in excellent condition but missing its crucial fire label, resulting in it being relegated to landfill rather than sent for resale. Our Design Residencies enable designers to experience first hand the end of like implications of the products they create, and the systems that reinforce those implications. 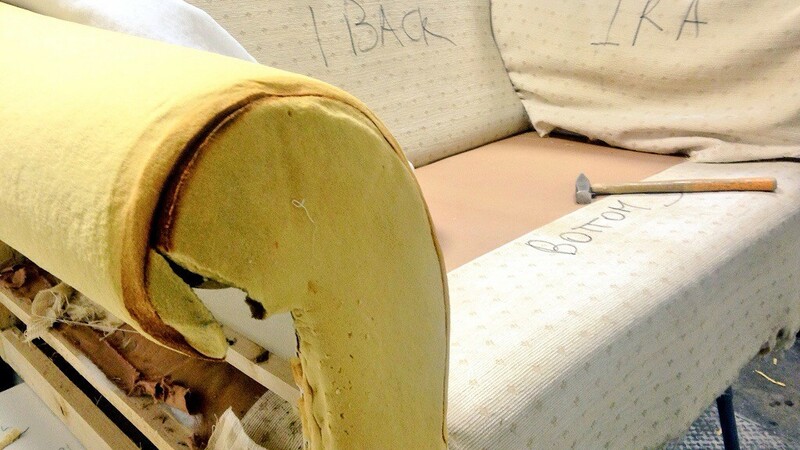 This short documentary follows the journey of the sofa and the experiences of Ella Doran, Kirsty Ewing, Xenia Moseley and Sarah Johnson as they set out to rethink and redesign bulky items for a more circular economy. According to WRAP, approximately 1,590,000 tonnes of bulky waste was disposed of in the UK during 2010-11. Of this bulky waste, around 42% consisted of furniture. WRAP also estimates that 32% of this waste (by weight) is reusable in its current condition.